Here’s a list of 5 women that are too perfect/talented to be regular humans. They have to be genetically modified. The Splice Girls if you will. If you haven’t noticed yet, Meryl Streep can act the sh*t out of anything. Nobody is as good as her, and nobody ever will be. 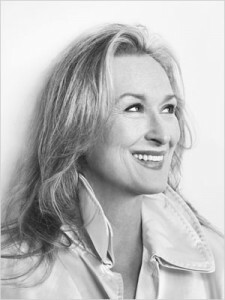 Her award nominations include a mere 16 Academy Award, 13 BAFTA’s, 3 Emmy’s, 25 Golden Globes, 4 Grammy’s, 12 SAG’s and a Tony. Phew. Even listing them is difficult. So difficult in fact, Meryl’s awards and nominations have their own Wikipedia page. And this Wikipedia page is far longer than most people’s full pages. Plus, she’s 61 and you still totally would. Jennifer Saunders is probably the best chameleon ever. In fact she’s so good you might be sitting on her right now and not even notice. Honestly, she’s your chair. Not really but she does do a better Liam Neeson than Liam Neeson. She’s also the creator of one of the funniest sitcoms ever written: Absolutely Fabulous. In short, Jennifer Saunders doesn’t parody people; she becomes them and lets them parody themselves. The nerdgasm was created just for this woman. She is a hot girl, who plays games. She is super-SUPER-smart and oh so musically talented. There is nothing she puts her hand to that doesn’t turn to complete geek gold. And, she is the Queen of the Internet. If that isn’t enough, she also created the most successful webseries ever, The Guild. This woman is possibly the most beautiful person on this lovely Earth planet. She exploded onto our screens in House, M.D. 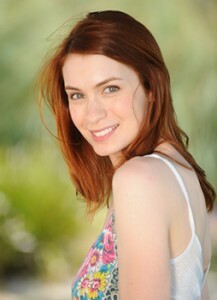 as Dr Remy “Thirteen” Hadley, the wonderful intern in Season 4 and has delighted us ever since. So she’s got the looks, but Olivia has an awesome sense of humour (see her videos on Funny or Die), and she’s a great actor to boot. And the Pop Culture Monster likes it that she’s really Irish. And keep your eyes peeled next week as it’s the turn of the boys, who do you think will feature?